MILAN - "Honestly, I’ve faced a lot of opponents and seen a lot of players in my life, but for me Hector Scarone was the best of the lot." High praise, indeed. Not least coming from Giuseppe Meazza, Inter’s all-time top scorer and one of the greatest talents ever to come out of Italy. Meazza and Scarone shared a dressing room at Inter in the 1931/32 season and – despite their working relationship lasting just one year – the impact the Uruguayan had on Meazza was clearly a long-lasting one. Scarone, nicknamed the Gardel of Football (a reference to tango legend Carlos Gardel), had arrived in Milan along with Argentine Atilio Demaria in August 1931. Born in Montevideo, Uruguay to a family of Ligurian origins in 1898, he followed in the footsteps of his brother Carlos – a striker in the 1910s and 1920s – by making his Nacional debut in 1916. Apart from a brief stint with Montevideo Wanderers, Nacional would be the only team Scarone would represent in his homeland, despite the fact that as a child he used to support the team then called Central Uruguay Railway Cricket Club, now known as Peñarol. With Nacional, Scarone would go on to win eight Uruguayan titles between 1916 and 1934. The incredible talent and countless goals Scarone brought to the Nacional team prompted the fans to think up their own nickname for the forward: the Wizard. After receiving his first international call-up at just 19, Scarone went on to score 31 goals for his country as Uruguay won four Copa Americas, two Olympic golds (1924 and 1928) and the 1930 World Cup, showing the world a brand of football the likes of which nobody had ever seen before. It wasn’t until 80 years later that Diego Forlan – another former Inter striker – was able to better Scarone’s goals tally for Uruguay. Scarone had sumptuous technique, a knack for reading the game, impressive aerial ability and a powerful, precise shot which – according to legend – he had honed by kicking a ball into hats hung on door frames in his youth. Added to his prolific form in front of goal and great tactical versatility, these qualities ensured Scarone’s name was on the wish lists of all the top European clubs. In 1926, he played in a few friendlies for Barcelona, but declined the chance to sign for the club as it would have prevented him from taking part in the Amsterdam Olympics in 1928. It proved to be a good decision, as Scarone scored the decisive goal in the two-legged final against Argentina to clinch the gold medal for his nation. 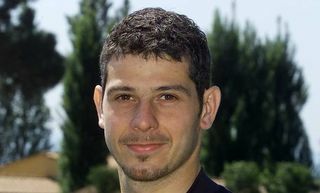 He had also scored the winner against Italy in the semi-final. 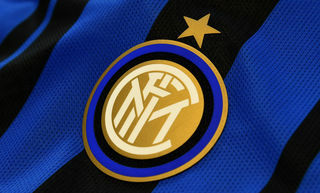 Scarone’s path crossed with that of the Nerazzurri in 1931, when Ambrosiana-Inter – fresh from a fifth-place finish in Serie A – turned to Demaria and Scarone in an attempt to spark a title challenge. This was the side of Meazza, of Giuseppe Viani, of Luigi Allemandi and of Hungarian coach Istvan Toth-Potya. 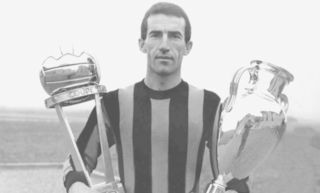 Scarone seemed to be the rightful heir to the throne of Julio Bavastro, who had been one of the first Uruguayans to play in Italy when he arrived in Milan around 20 years previously, but his season at Inter was disrupted by injury. Nonetheless, he was able to show glimpses of his game, scoring seven goals in 14 appearances. The most notable goal was undoubtedly the winner in a 1-0 defeat of Genoa, when Scarone ran most of the length of the pitch, evading all of Genoa’s defenders before finding the net. He also bagged a brace against Lazio, despite having sustained a facial injury earlier in the game. 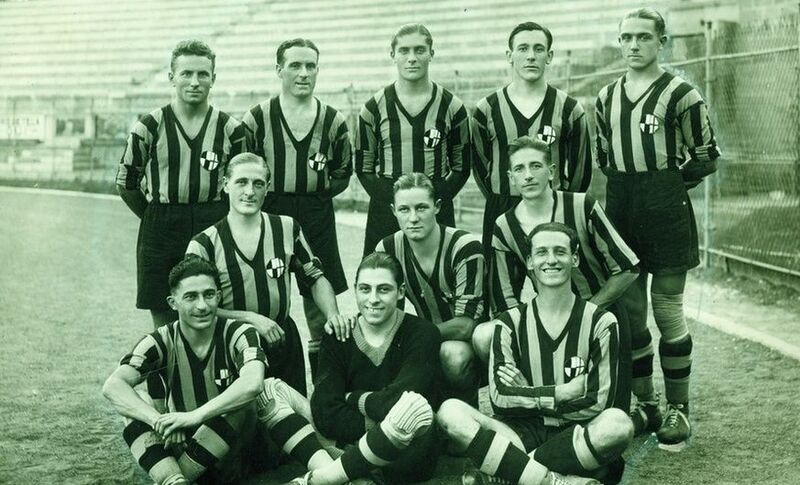 Yet the Nerazzurri faithful were only able to enjoy Scarone for a solitary season, as he was sold to Palermo in the summer of 1932 for his second – and final – playing experience in Italy. In 1934, Scarone returned to Uruguay to play for Nacional at his beloved Estadio Gran Parque Central, the east stand of which now bears his name. Nearly 80 years later, the stadium was the venue of the retirement of another Uruguayan great who donned the black and blue of Inter: Alvaro Recoba.